Bullet Journal for Beginners Like Me! I created my April month plan a few weeks ago and I knew ahead of time that I got lots of available time for this month because there is not many events or getaways planned yet, I said "yet" because there's a great possibility that in one of those weekends, my husband and I will surely go somewhere to chill. We have this mentality that we need to get away so we can be refreshed by nature. Today, I looked into my 2018 planner which by the way was a gift from a colleague friend, Chris. He collected stamps from Tom N Toms Coffee last year and last December gave me the planner because he said the book will be in the perfect hands. I was really thankful because it was my first ever coffee Tom N Toms Coffee Planner. I don't drink that much coffee from coffee shops though so I don't collect stamps as well. But after receiving that gift, I thought to myself that it is good to also have the kind as it has a very nice design. But, before I could start collecting stamps for next year's planner, I had a realization, that handmade planners are much better! I have a lot of blank notebooks which have never been used for months, some have been years! So I totally believe it is just time for me to revamp those and improve my journaling skills with creating my own personal planners. I thought about learning more on my manual bullet journaling. So today, I will educate myself with some of the things which are required for me to start off my bullet journaling journey. The internet has a lot of descriptions on what this type of journal is. But basically, it is just as simple as lay outing the journal in bullets by hand! No computer needed, just pens and papers and the most important ingredient is imagination! In bullet journaling, it is important to note what you want to do, then update it while in the process of doing and again once done with the process. It is somehow similar to tracking your progress. All of this through handwriting. In this digital age, there are a lot of premade journals out there, some are printed, properly laid out and bounded either in soft or hard ones. There are also digital ones which can be updated through the computer. But this bullet journal is purely made with the hand. Depending on your preference, some may go ahead with the digital ones while some may prefer a combination where I use preprinted journals and then I add writings and drawings into it. I myself consider the latter but then I thought of creating my own bullet journal for the reason of improving my journaling skills as well as making good use of those notebook collections. As I was going through different guides with how to start my bullet journal journey, I realized common grounds which I had to apply as I go on. Here below are four of the things that every starter like me should begin with. I am still a newbie as well with bullet journals because before, I would just randomly log or write whatever I feel like adding to my journal. But with bullet journal, there's a specific run of things that the book should provide. 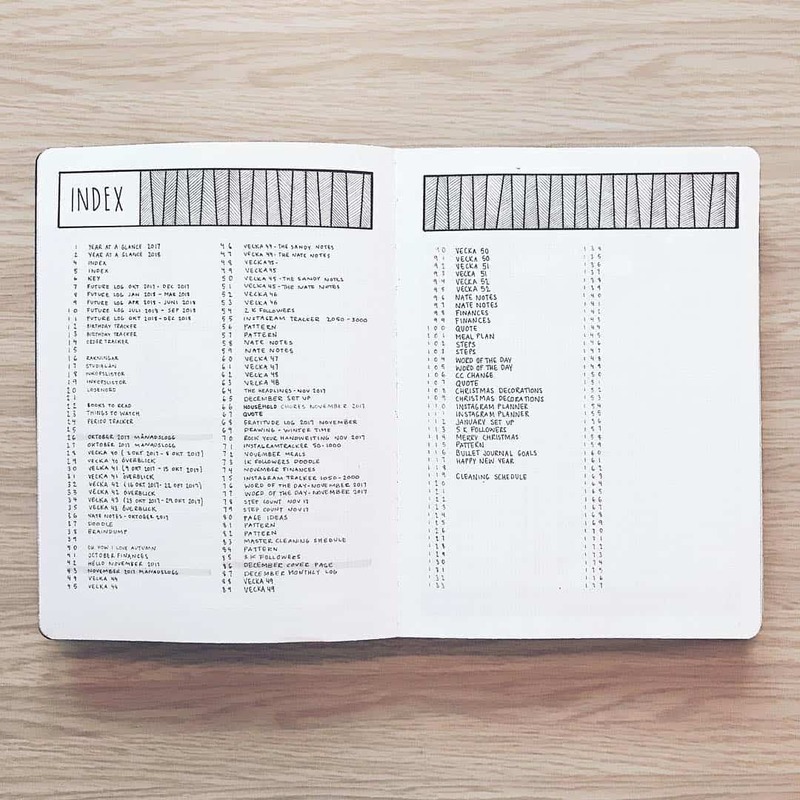 Just like common books, a bullet journal has this section where anyone who'd like to find where this and that information can be found is laid out. This section should be occurring in the first few pages of the journal book. The table of contents contains the overall information included in the journal. This will mark where the page of this and that section is. This is normally where the owner starts so numbering the pages of the journal will also depend on him/her. Numbering it can be done on the spot or along the way as you go through. The table of contents as well is not fixed, unlike books. It is fluid in a way that whenever one adds a new content page, the table will also be updated. So it is just wise to allocate a few pages for the table of contents section. There are also different styles of formatting for this section. No restrictions or any particular design required, the creator just has to do it whatever he or she want to have it done but it highly recommended to keep it simple! This section here normally comes after the table of contents. Here, a display of the important events such as birthdays, holidays, wedding anniversary, special occasions and etc. It holds those dates which will allow you to be reminded every single time you flip on to this page. Again, what's beautiful with bullet journal is that it allows space for anything that may come in the future. Just like the table of contents, the future events log will be updated if there are new important events that will occur in the future. Since that's for the future, it is recommended to use checkboxes, make it fancy or simple, whatever your style. But as soon as an event comes up, add a check mark to note that this had already passed. This is one of my favorite parts of bullet journaling which I am excited to make soon. I am already doing this with my current Tom N Toms planner and I hope to apply the same style to my future bullet journal. I add stickers, calligraphy, washi tapes and a lot more to make it colorful. But making it simple is still an option, however, the design still depends on the creator. There's no right or wrong design. There are 12 months in a year so there should be either 12 or 24 pages allocated for this, 12 if you want to use a single page but 24 if you want to make a huge page for each month. I guess I will add dates, the day of the week and week numbers and of course the month name at the top. 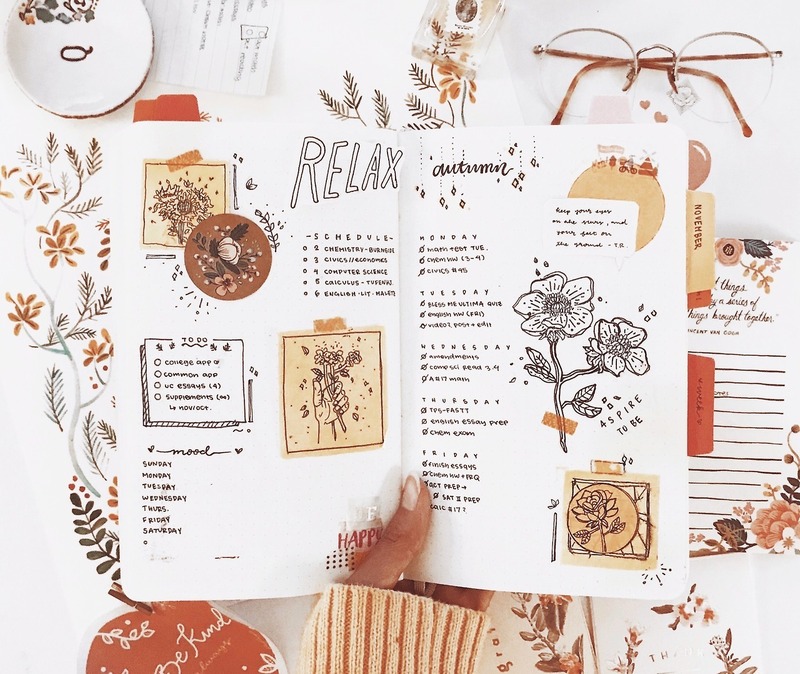 But unlike the preprinted journal or planner which usually starts with the month of January, the bullet journal can begin with any month because it's all up to the creator. It also means you don't have to wait for this year to end before creating a new journal, you can start any time you want! This is where the routine comes in place. 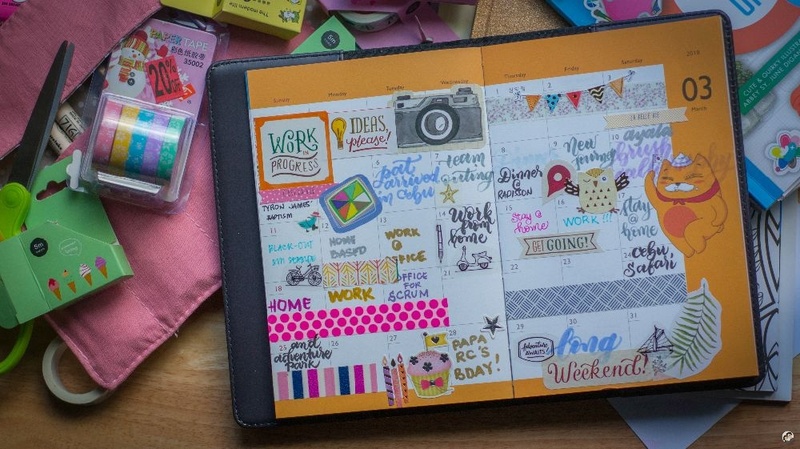 Journaling is actually a very helpful tool for organizing your day to day activities. It helps in accomplishing a lot of things and it also can improve time management skills. With this daily diary, you can add your to-do list, reminders, errands, random information entries and even those surprise elements on a day to day basis! What I am talking about is that if you bump into an old friend at a department store or a mall or perhaps spotted your relative somewhere, you can add it here. 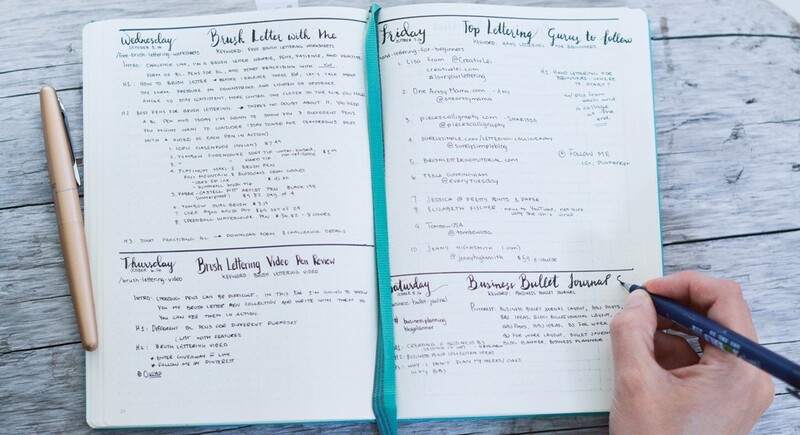 A daily diary can be one page or two pages or normally referred as spread in the bullet journaling realm, depending on the number of events that had occurred! 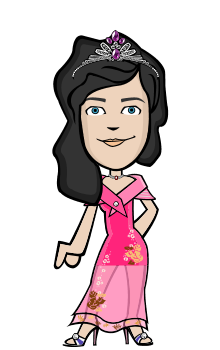 In the daily diary, one can also express your mood, jot down the weather, add notes about what made you smile, jokes by your friend or maybe what you did, what surprises you had made up for your husband or your parents and siblings! Everything can be added, the sky is the limit and there's no one hindering you on how you want to input that in the paper. Write whatever is on your mind! Log your daily routines, you can even draw, color or sketch! Don't forget about updating the Table of Contents once you go along! I am very excited to start my own bullet journal soon! I will for sure share here how that progresses. So, who's with me in making a bullet journal? Cheers to more organization and daily time management! Seems fun...I will make one. Yes, I have a journal and it can help a lot. Why I Choose The Bullet Journal?